Duke clings to life in the hospital, while a devastated Anna sits bedside. She tells Duke she can’t lose him again. Patrick informs her there was no brain or heart trauma, but the tox screen showed high levels of the sedative Propofol. Dante arrives at the hospital for an update, and asks whom Duke had bad blood with. Anna tells him about Duke’s run-ins with Ava, and remembers Lucy saying she saw a strange blonde woman. Dante decides to have a chat with Ava. Felicia and Mac decide they should postpone the wedding, despite Maxie’s insistence to have Lucy and Kevin step in their place. Maxie complains about the money they would lose, and having to re-plan the wedding. She insists it has to be today, because of Georgie. Sabrina explains to Emma there may not be a wedding today, because Uncle Duke has gotten sick. Baby furniture is delivered to the house, and Sabrina needs to explain to Emma that Patrick will be sharing custody of the baby. The baby will spend a good amount time with them. Ava’s angry when Julian stops by with concerns about their connection possibly being exposed. 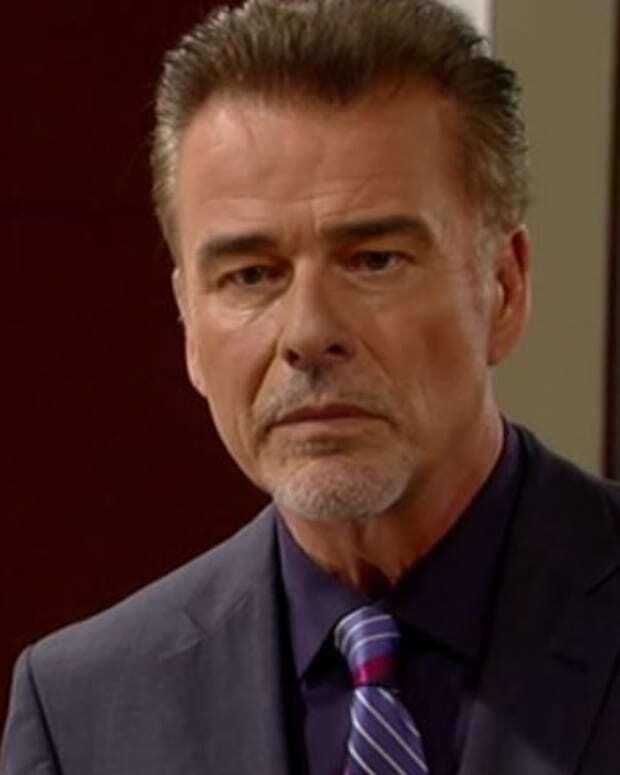 Julian thinks she had something to do with Duke’s accident, but Ava denies it. She thought he did it. Julian wonders who was the culprit. Ava’s perfectly fine having someone else do their dirty work for them. Julian feels Duke will be hard to kill. Britt is again annoyed to find her mother in her apartment. When she spots the newspaper article about Duke, she questions whether her mother was responsible. Dr. Obrecht has no issues with Duke, but Faison did. However, she’d have no reason to go after him. Dr. O. asks about the birthing class, and Britt explains what happened with Patrick. She mentions how happy he is they are having a boy. Dr. O. is thrilled about the boy, and insists Britt name him Cesar, as a tribute to her father. Britt refuses to name her child after her father. Britt gets angry and grabs her mother’s bag to send her off, but the wig falls out. Dr. O. claims she just wants to be a blonde, but Britt doesn’t believe her. She searches the bag and finds the Propofol. Patrick tells Anna that Duke is improving and should wake up soon. After he heads out, Anna tells Duke she loves him more than she ever has and can’t lose him. Duke wakes up. Dante visits Ava, and asks about Duke. Ava claims she doesn’t know him, and would have no reason to hurt him. Dante mentions the Jerome crime family, but Ava insists she’s not part of it. Ava tells him to leave, if he doesn’t have a warrant. Then, she chastises him for not being nice to her, since they are family now. Dante warns he’ll find out more about her family. Ava’s angry with Julian, but he feels Dante is just a dumb cop. Ava informs him Dante is Sonny’s son, and probably confides in his father. Julian figures they will need to address that issue. Felicia understands Maxie misses her sister, but Maxie says she wasn’t talking about her sister. Lulu steps in, and asks if Maxie was talking about the baby. She explains to Felicia that Maxie had mentioned using the name Georgie. Lulu reminds Maxie the baby isn’t hers. Maxie uses the name Georgie in her head, and it accidentally came out. She ’s fully aware the baby isn’t hers. When Dante returns, Lulu tells him there is a problem. Patrick gets home and tells Emma the baby is a boy. She’s not thrilled, but he reassures her they will all love each other. Sabrina tells him that she’s made peace with Britt, but feels he needs to know about Britt’s mother. Anna explains to Duke how they found him, and Duke knows who drugged him. 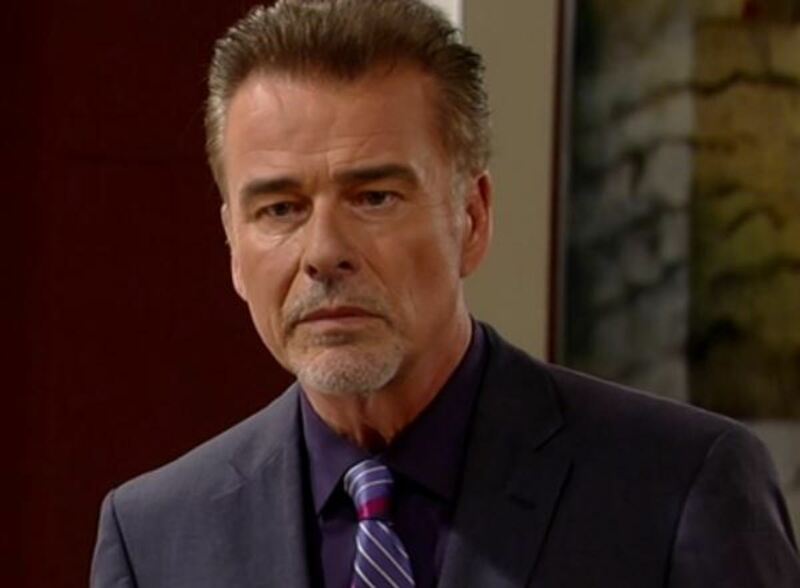 Anna asks if it was Ava, but Duke confesses it was Dr. Obrecht. Anna thinks Duke is confused, since Dr. O. is supposed to be in hiding. However, Duke is confident it was Dr. Obrecht, and she was wearing a wig.